i first want to thank Uncle Chuck (the silent one) for coming to my house (even after i had drank all the beers and had none to offer)…and setting up this new BB web site. His Patience with me is remarkable. And i want to thank Island Kid (Chris Galli) who ten+ years ago helped me load some of my surf picture to web sites. i didn’t know about copy and pasting back then so i would type something like this….. …………….(http://()2ndlight.com/fusetalk/forum/attachments/viewattachment.cfm?attachid=7777777&forumid=1/jepg)……………….. over and over to launch each picture over my 56k modem… it took a very long time……….. 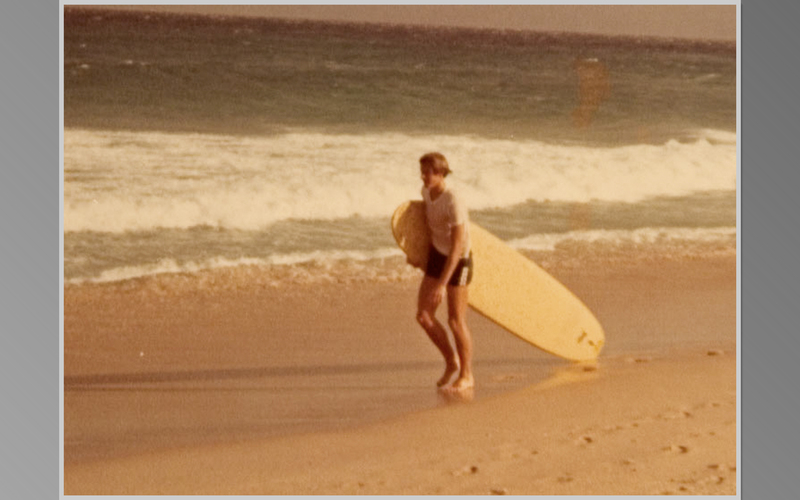 Here is and old memory of when i first started surfing down at Boynton Beach. i was a lifeguard (so i got paid to surf) and someone took this film picture of me carrying the rescue board along the beach. They gave me this picture and a few others that i still have today. The film has faded a little and so has the memory but a least i have some proof that i was a lot thinner back then even if i don’t remember it so well! i don’t remember who took this picture of me 40 ++ years ago. then i will be stoked!